Welcome to February! We had a record number of 155 goals linked up for January - lets see what this month brings! Did you see the overall announcement for the sponsors and featured designers for 2019? It will blow you away! 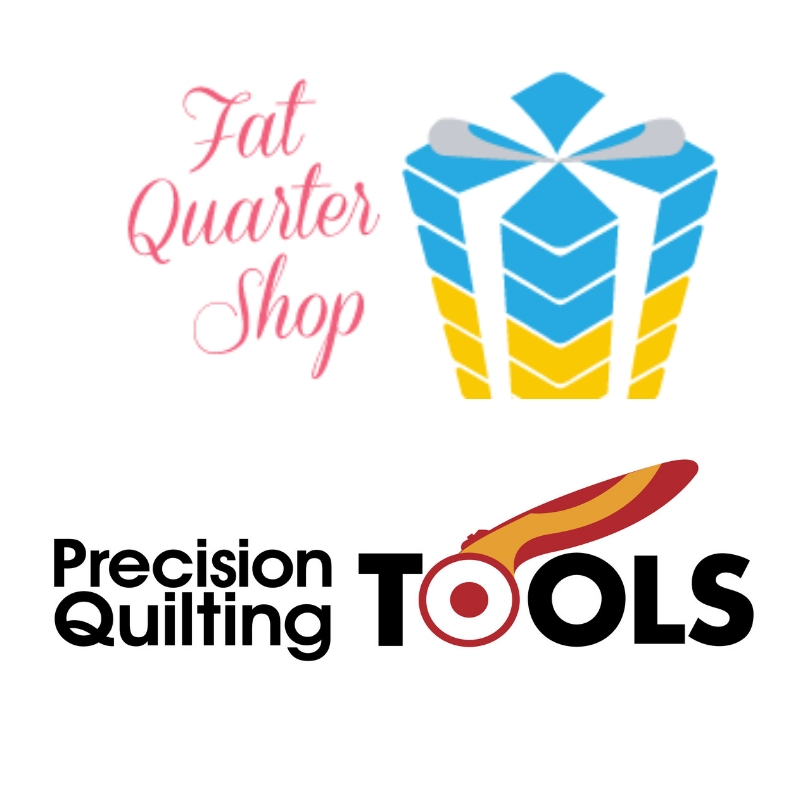 I'm excited to introduce Amy Smart of Diary of a Quilter, our featured designer for February! 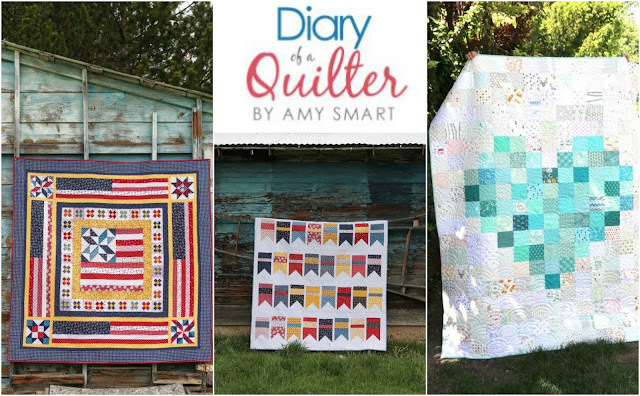 Amy is a quilt designer and teacher who shares her love for quilting through her blog. You can find Amy's quilt patterns in her shop plus she has also contributed to multiple books and magazines. 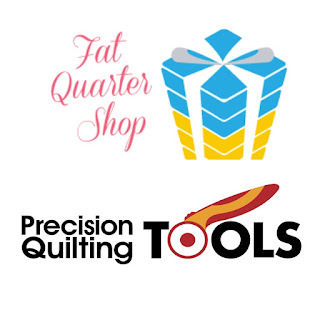 In addition, she publishes wonderful tutorials - from tips for choosing fabric, tutorials on free motion quilting, plus free block patterns and quilt patterns. I really enjoyed her post on tips for organizing your sewing room. Amy is offering one lucky winner a pdf quilt pattern from her shop. You can visit Amy at her blog, on Instagram, on Facebook, and in her pattern shop. Quilt and image credit to Amy Smart. Happy February! I am having so much fun, following along with your hand quilting journey. I am not stitching, but learning lots. Amy Smart was one of the first bloggers I came across, many moons ago, when I started blogging. She remains a favorite. What fun it would be to win a pattern. I love your colors. Anything with blue and white is beautiful. You are a patient quilter. I really appreciate your doing this goal setting linkup every month. It helps keep me on task, and it's always fun to meet other bloggers whose work I haven't seen before. Win-win! All the best with the hand quilting. I love Amy's blog and the fabrics she designs. Just want to cheer you all on! When I retired, I decided no more goals for me. But I appreciate that it does help when there is a lot to juggle. Sew on!! The more the merrier, love all the pictures in the OMG posts, good library for when I am out of ideas/inspiration. Congratulations on the increase of participants. I admire your hand piecing, however I don't think I'm going to join you. Great sponsors and prizes. Good luck with your hand piecing project this month.